Palestine is one of the most contested pieces of land. A nightmare for Western politicians, the desire of the Muslim world, the hope of the Palestinians who desire to return to their land, and the treasured haven for the Jews who, after centuries of persecution have finally found a place of refuge. On this land the state of Israel was founded in 1948 and it has been a very big problem ever since. 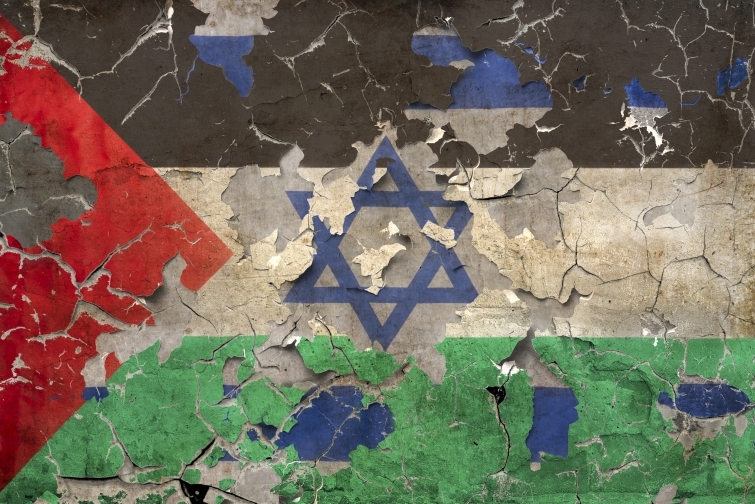 Many Christians feel they need to support Israel because it is God’s people, while others point to the injustice committed against the Palestinians, who were there first. First? Who was first anyways, the Palestinians who lived there in the 19th century or the Jews who had it in possession (albeit under Roman rule) 2000 years ago? But that is not all there to it. Jerusalem, the main city in Palestine, is a hugely important place for 3 of the major world religions, Judaism, Christianity, and Islam. You get the problem? Right! And the problem is not going away soon. So here are arguments why Israel needs to be supported but also arguments why we should not support Israel. However, there is always a third way. Let’s start with the argument in favor of support for Israel. When you read the Bible you are confronted with the irrefutable fact that the people of Israel are God’s people. God chose them when He spoke to Abraham the famous words in Genesis 12: 1-3: “I will make you into a great nation, and I will bless you; I will make your name great, and you will be a blessing. I will bless those who bless you, and whoever curses you I will curse.” Some 400 years later when Israel is led out of slavery in Egypt the Lord’s words are very similar: “Now if you obey me fully and keep my covenant, then out of all nations you will be my treasured possession. Although the whole earth is mine, you will be for me a kingdom of priests and a holy nation” (Exodus 19:5-6). The Jewish people have never stopped existing; they have continued to be a people group, a nation, a distinct people. In spite of the exile predicted in the Scriptures and today in what is known as the Jewish diaspora, they have remained Jews. And so, the Jewish people in our time are still that same people called out by Yahweh. They are God’s people. God promised the land of Canaan, as it was called back then, to Abraham as a possession for his descendants. In Genesis 13:14-15 we read: “The Lord said to Abram after Lot had parted from him, ‘Look around from where you are, to the north and south, to the east and west. All the land that you see I will give to you and your offspring forever.’” The promise was repeated to his direct descendants (Genesis 28:4; 48:4; Exodus 6:8). God has never revoked this promise or taken away the gift. True, Israel did not keep the covenant with their God and were expelled from their land in three different exiles, the last one lasting till the foundation of the modern state of Israel in 1948. God promised Israel through the mouth of Isaiah: “He will raise a banner for the nations and gather the exiles of Israel; he will assemble the scattered people of Judah from the four quarters of the earth” (Isaiah 11:12). Israel will return. It’s in the Bible and it is happening now. For this reason we should with Israel rejoice that the ancient land is once again in the hands of God’s people. We should marvel at what is nothing short of a miracle. This is clearly the work of God. God makes it very clear in the Old Testament, that although He doesn’t condone the sins of his people, he is still their God who remains faithful to them. God is very clear that whoever is Israel’s enemy will have God against him: “For this is what the Lord Almighty says: “After the Glorious One has sent me against the nations that have plundered you—for whoever touches you touches the apple of his eye— I will surely raise my hand against them so that their slaves will plunder them. Then you will know that the Lord Almighty has sent me” (Zechariah 2:8-9). If you want to be on God’s side, you better side with Israel in the struggle against God’s enemies. They are God’s precious possession. Standing with Israel against those that would once again devour it after the Jews have gone through such hardship and immense suffering, is the only possible thing Christians can and should do. The year 1948 is the all-important year of the founding of the state of Israel. The odd thing is that the Scriptures foretold the restoration of Israel. In the Scriptures Israel is often compared to a fig tree. Jesus said: “Now learn this lesson from the fig tree: As soon as its twigs get tender and its leaves come out, you know that summer is near.” (Matthew 24:32). In the 1930s there were Christians who were talking about this prophecy. They were basically waiting for this to happen and when it did a few years later in 1948 it was for these people powerful proof that God was at work and that new times had come for Israel. In 1948 the fig tree was sprouting new leaves. The summer of God’s restorations is near. Christians should participate in this Israeli Spring initiated by God. The Christians who were already expecting this restoration of Israel hold a so-called dispensational view of Scripture in which they see God dealing with humanity in different ways during different eras or periods in history. The time before Abraham was one, and so was the time of Israel as a kingdom. The Church marks another such period. And the expectation is that when the rapture takes place—when the Church will be removed from earth by Jesus as it is taken up into heaven—that Israel will once again take up its prominent role as God’s instrument in this world (See 1 Thessalonians 4:13-18 and 2 Thessalonians 2:6). Those who think that Israel is done are gravely mistaken. It is all yet to begin. The best is yet to come. Christians should be part of what is going to bring about. There is also a very compassionate reason why we Christians should be in favor of the state of Israel. For many many centuries, the Jewish people have been persecuted terribly. There is even a special word for the hatred of other people toward the Jews. It’s called antisemitism. It is marked by the desire to eradicate Jewish presence from the world. In Europe Jews were usually only allowed to be merchants and when they would get wealthy because of that they would be accused of hoarding and amassing other people’s wealth. This, is of course how things got started in Nazi Germany. But there have been many instances in history where Jews were haunted, chased, robbed, killed or stripped of everything they had. The nazis managed to kill six million Jews. And we would want to deny them their homeland? Not a chance! Israel is the people of God. They have suffered brutally. Now it is time for them to have their own home again.